Style and comfort come together in the Weekender® Sax on the Beach shirt. 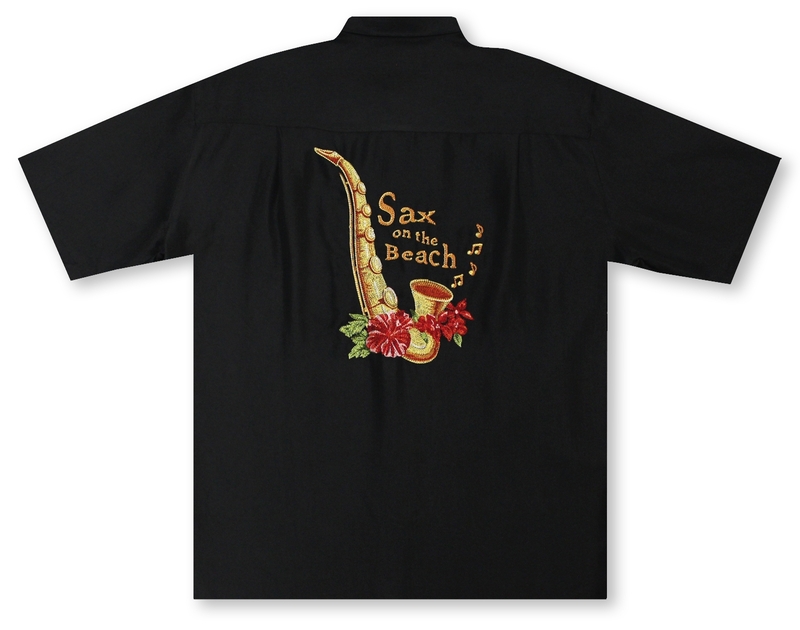 One-of-a-kind in the world embroidery on the back of the shirt features a saxophone, tropical flowers and musical notes. Wear it at your local Jazz Fest and people will want to take it off your back. Made of super soft Rayon Microfiber Herringbone, this shirt features a spread collar, button-thru front pocket and Weekender-inscribed buttons. The square hem has side vents allowing you to wear the shirt tucked in or out.